I was at The Twisted Oak in Tarrytown, waiting for a friend and sampling some of their highly rated dishes on Yelp. I have mixed review on the below dishes. But before I begin, I must say that the Twisted Oak needs a new website. They don’t have a full menu online which is frustrating for a blogger like me. I searched and searched. 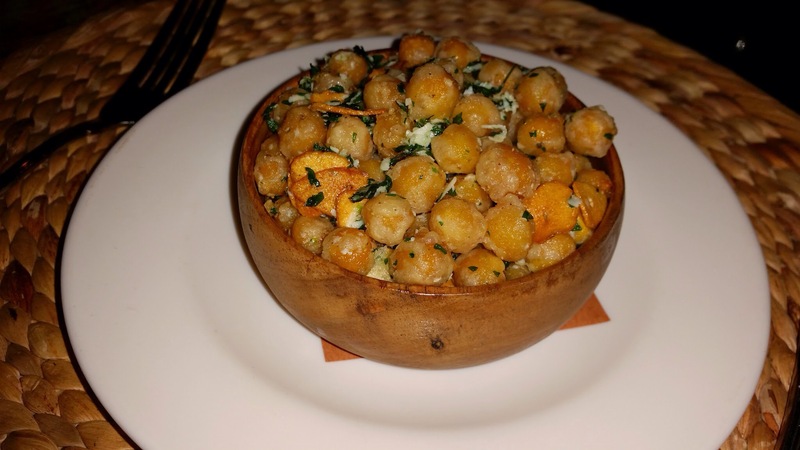 Fried Chickpeas: This is a popular dish and highly rated on yelp. It’s finger food and not that much better than a bag of Saffron Road’s Falafel Crunchy Chickpeas. Seared Sea Scallops on top of arugula. This was great. High quality scallops seared to perfection. 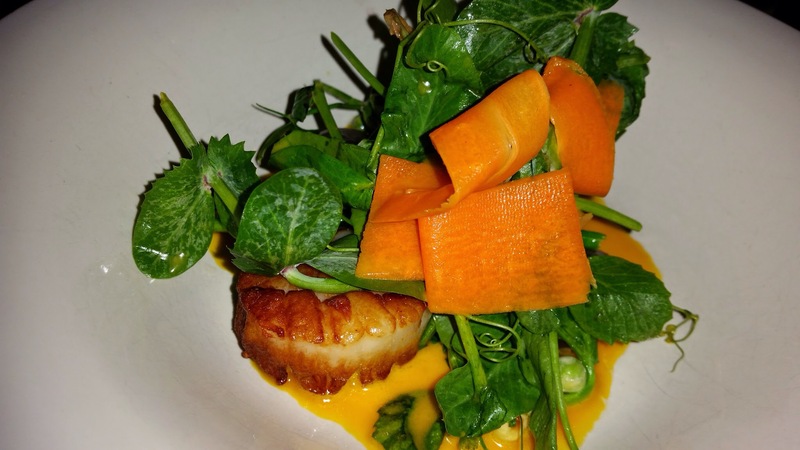 The bitterness of the arugula contrasted well with the slightly sweet scallops and carrots. Wonderfully delicious. 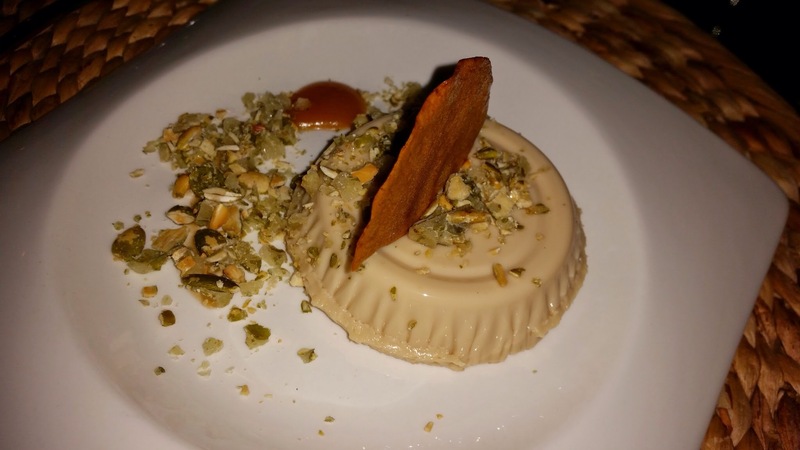 Panna Cotta – This was enjoyable, rich, sweet, tasty, and lush. I wish I had the menu to show you the ingredients of the dessert. I was really happy. Worth the calories. Will return but will carefully select the right appetizer. A bonus – the bartender was in the Peace Corps in Africa for two years helping small business, which made a captivating conversion at the bar.